The alternate/transition to teaching program is a shorter but more intensive licensure program that requires an undergraduate degree. Admission to the transition to teaching program grades 5-12 requires a degree in the content area in which the applicant wishes to be licensed. (For example, if you wish to teach mathematics, you must have a baccalaureate or master’s degree in mathematics). 13 credit hours required. All courses listed. Prepare teacher candidates to use instructional and information technologies to support teaching and learning, manage classroom activities, and enhance scholarship and professional growth. Through hands-on activities, students learn to design and implement technology-supported instruction, launch and maintain online resources, develop multimedia instructional materials, and use technology to communicate, solve problems, and engage in lifelong learning. Fall, every year. Prepares teacher candidates to create learning environments that enhance the strengths and abilities of diverse learners, including students from various cultural, racial, ethnic, and social backgrounds; students with differing life and learning styles; students who are gifted/talented; and students with disabilities. Requires admission to the Transition to Teaching Program. 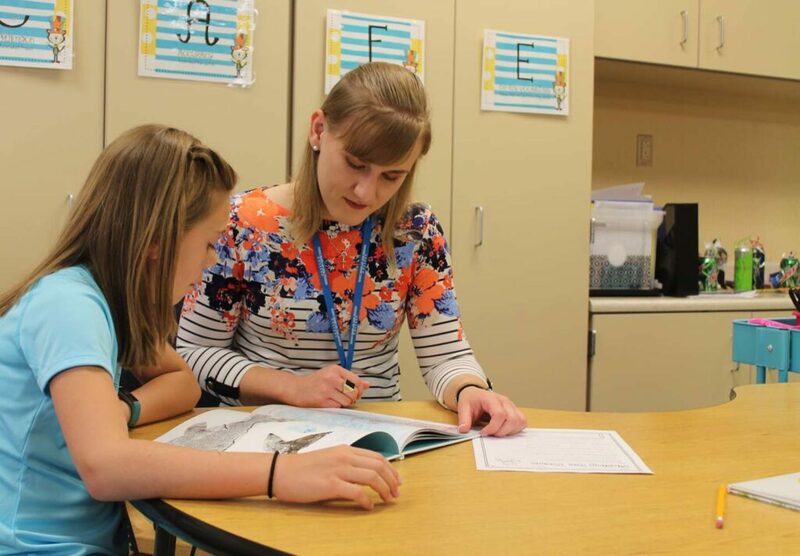 This course provides teachers with the tools they need to lay an educational groundwork that promotes students’ success with informational text. Spring, every year. Prerequisites: ED 262 & ED 261 for Preschool - Grade 3/Mild Intervention, Early Childhood/Mild Intervention, Kindergarten - Grade 6/Mild Intervention, Kindergarten - Grade 6/Mild Intervention (non-licensure), Special Education Mild Intervention P-12. A practical, research-based course designed to provide teacher candidates with the skills necessary to create productive learning environments in middle/junior/senior high schools. Content area instruction will be emphasized to meet the needs of particular subject matter. Requires admission to the Transition to Teaching Program. 6 credit hours required. All courses required. Provides a capstone teaching experience in a middle school/junior high or high school classroom. Teacher candidates complete 12 weeks of supervised teaching and are responsible for full-time planning and teaching for a minimum of three weeks late in the placement. Course fee. Fall and Spring, every year. Requires Education Department approval, resume, unofficial educational transcripts, and expanded criminal background history. Seminar sessions include analysis of student teaching experiences, information about licensure requirements and procedures, and career development. Must be taken concurrently with Supervised Teaching. Course fee. Fall and Spring, every year. Requires Education Department approval.